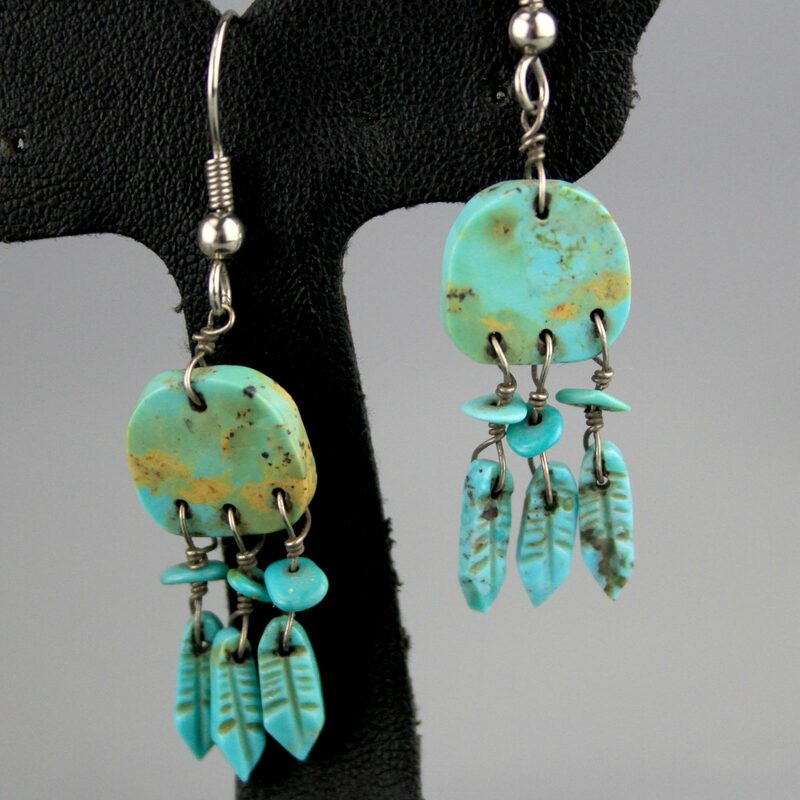 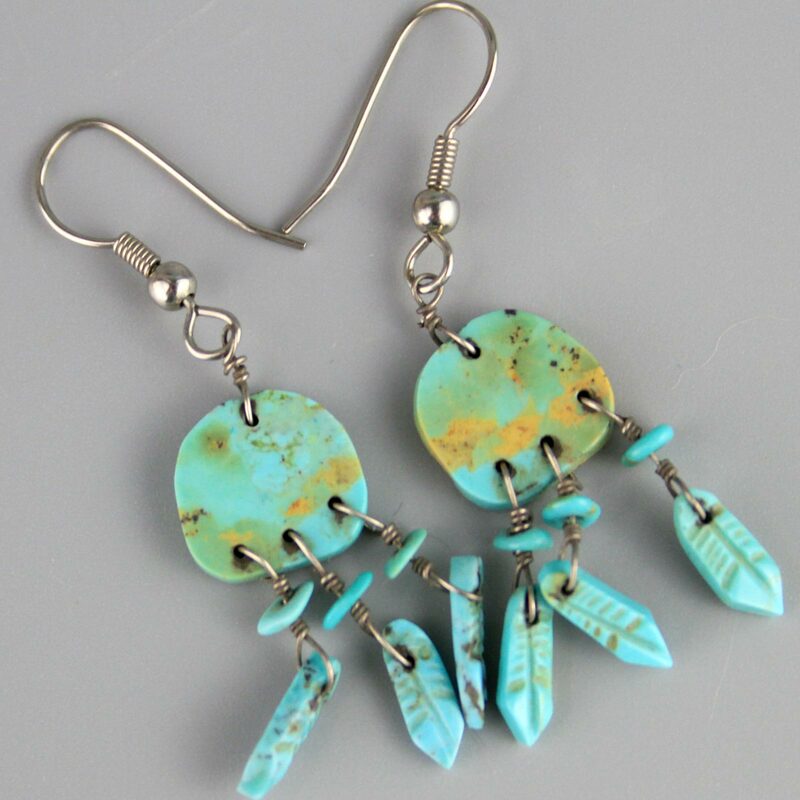 Lovely Native American handmade turquoise earrings. 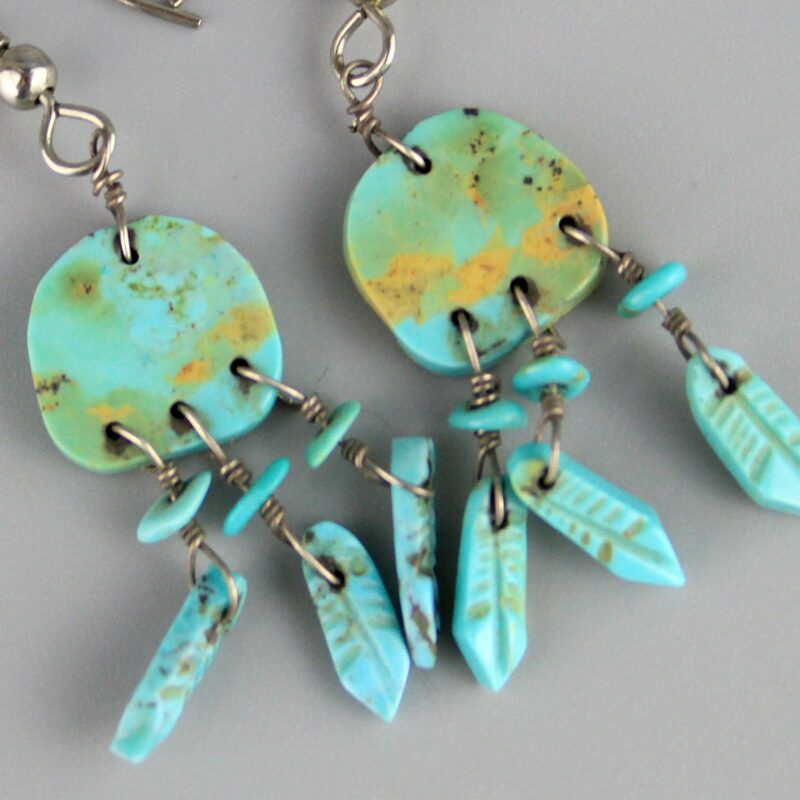 Handcut disk and carved leaf dangles. 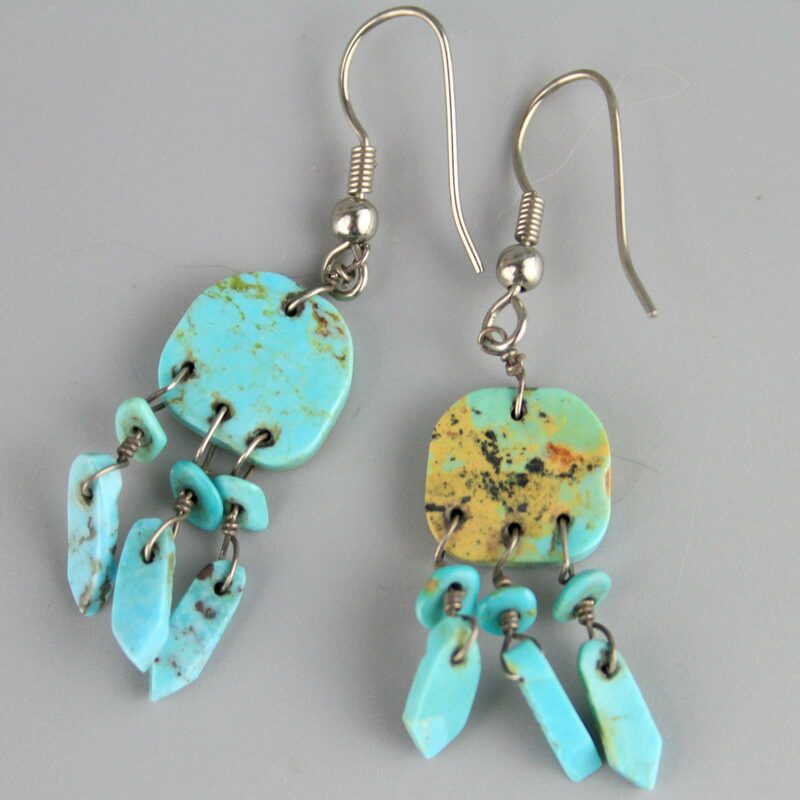 Lovely colours, light and easy to wear.